← #IWSG March: The importance of names! 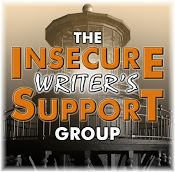 It’s the first Wednesday of the month, which means it’s time to share our hopes, dreams and fears with the Insecure Writers Support Group, the brainchild of Ninja Captain Alex J. Cavanaugh, and this month’s hosts are; J.H. Moncrieff,Natalie Aguirre,Patsy Collins, and Chemist Ken! So, what have I been up to this month? Every now and then, SCBWI (Society of Children’s Book Writers and Illustrators) have competitions called Slushpile Challenges. This weekend, the opening lines from my novel were in the top five selected by the judging agent. Yay! Why is it so much easier to doubt yourself? Anyway, I’m going to poke that doubting voice in its metaphorical tonsils and ignore it. This entry was posted in IWSG and tagged IWSG, SCBWI, slushpile challenge. Bookmark the permalink. Not that made me laugh! I’m sure there were many more than five entries. Well done, Angela! Isn’t it odd how we have no trouble doubting criticsm, but then think anyone offering praise doesn’t really mean it? I like that too, and you do. I know I have read your work. You have a wonderfully entertaining voice. Don’t doubt it. Congrats! Whoot, Whoot, you go! I know where you’re coming from. I made the top 10 cut in a contest this year and I kept asking myself if there were only 10 entries too. (I later found out there were more than that!!) So I’m sure there are more than 5 entries in your contest too. Congrats! Job well done. “only five entries.” Get out of here. They wouldn’t bother with challenges if there were only five entries. I’m not much for domestic violence, but a metaphorical *smack* might be in order. BTW, congrats on making the cut.